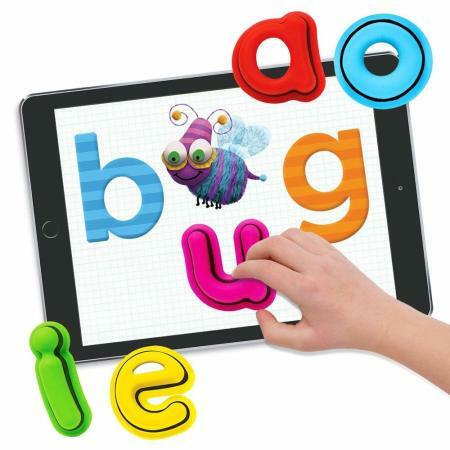 Tiggly 3-in-1 Learner Kit is a set of interactive toys and apps for children aged 2-8, designed to bring shapes, letters and words to life. 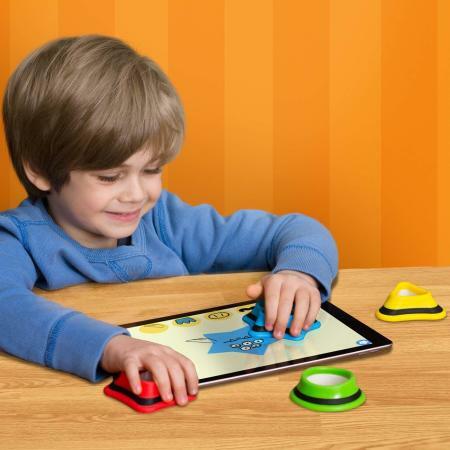 It's compatible with both Apple and Android tablets and doesn't require Wi-fi, batteries or Bluetooth. 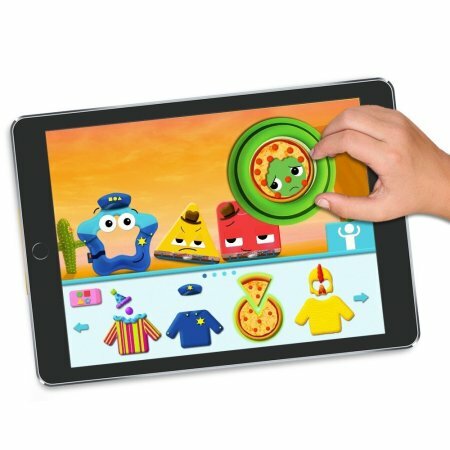 Award winning interactive words game for learning, creativity and fun! 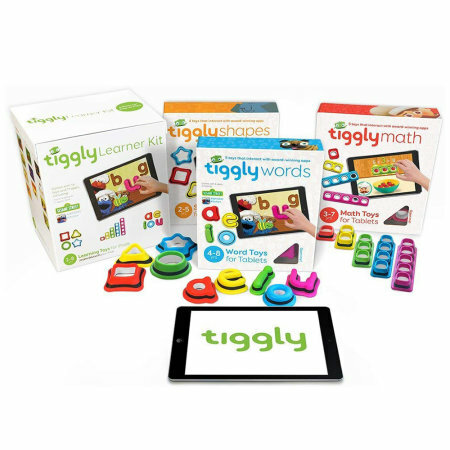 Perfect for children aged 2-8, Tiggly 3-in-1 Learning Kit is an ideal learning platform for your little ones who wish to express themselves through art, creativity and interaction. 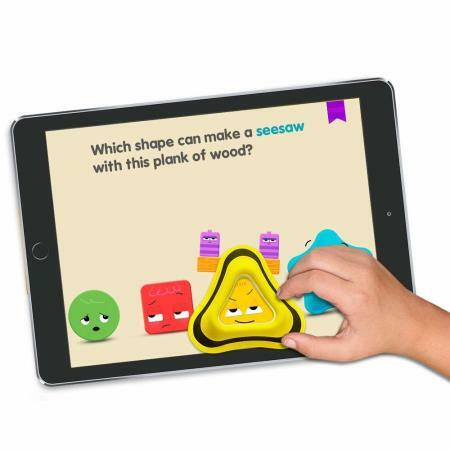 Covering the fundamentals of shape recognition, language and counting, it's a great tool to make the English language fun for all. 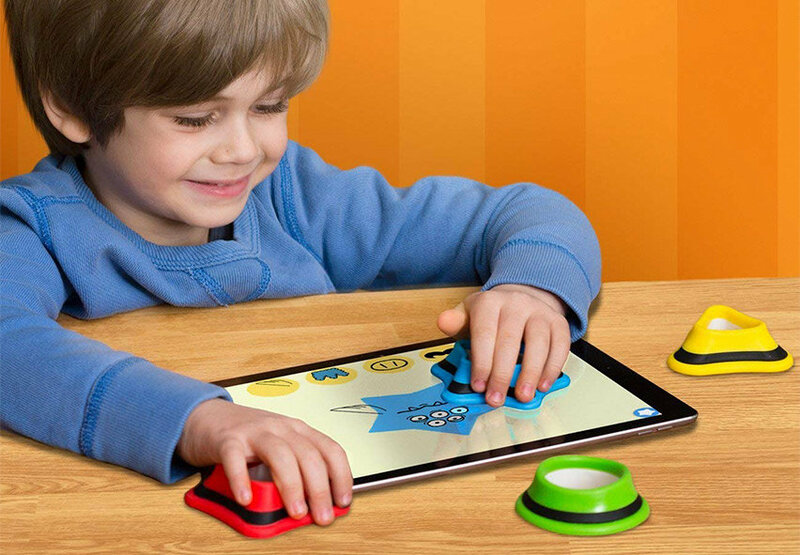 Using your iPad or Android tablet, you can transform the physical space in front of your tablet into a tangible digital gaming board of fun, fun and more fun! 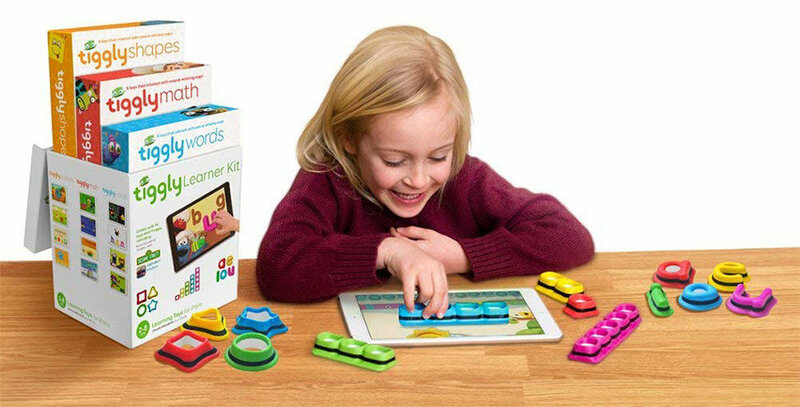 Watch as your children enjoy games based around shapes, letters and numbers that focus on improving their ability to solve recognise shapes, build words and phrases, as well as helping their visual, spatial and abstract thinking skills. 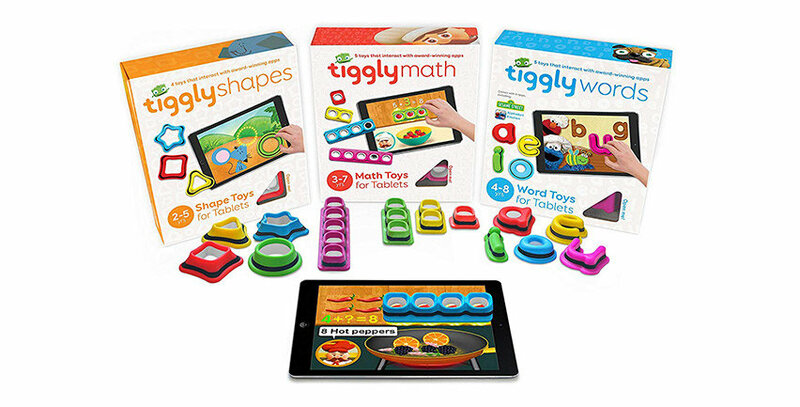 By monitoring the activity in front of an iPad screen, Tiggly 3-in-1 Learner Kit transforms shape related problems, mathematical situations and language challenged into a playable virtual area that is dynamic, playful and educational. 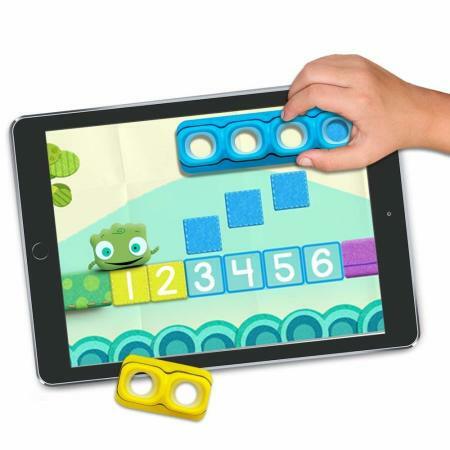 Children learn and more importantly enjoy working with shapes, letters and numbers without the usual pressure or fear that the answer may be wrong. 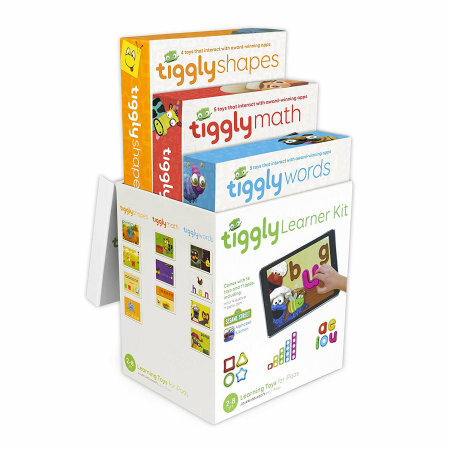 Learning through experimentation, exploration and play - Tiggly 3-in-1 Learner Kit is a stress-free educational experience. 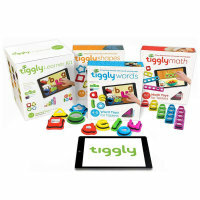 Tiggly 3-in-1 Learner Kit comes with 14 toys, designed for use with the 12 educational apps - Tiggly Safari (Shape Recognition), Tiggly Stamp (Storytelling) and Draw (Creativity) for Tiggly Shapes; Sesame Street Alphabet Kitchen (Reading), Tiggly Doctor (Short & Long Vowels), Tiggly Story Maker (Word Building) and Tiggly Submarine (Spelling Patterns) for Tiggly Words; Tiggly Cardtoons (Counting), Tiggly Chef (Addition) and Tiggly Adventure (Number line) for Tiggly Maths. It also comes complete with a carrying pouch, making it a perfect accessory for car journeys and holidays. 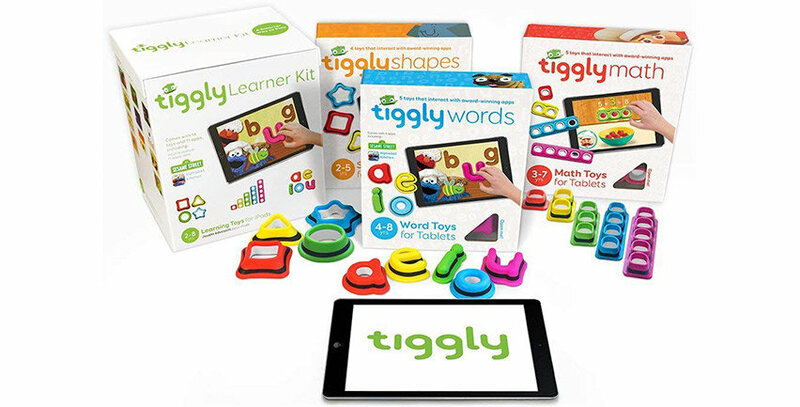 Tiggly 3-in-1 Learner Kit is compatible with all iPads, iPad Air and iPad Minis (excluding iPad 1), iPads must be upgraded to iOS 6.1.1 or above. It's also compatible with the iPhone 5/5C/5S/6/6S. 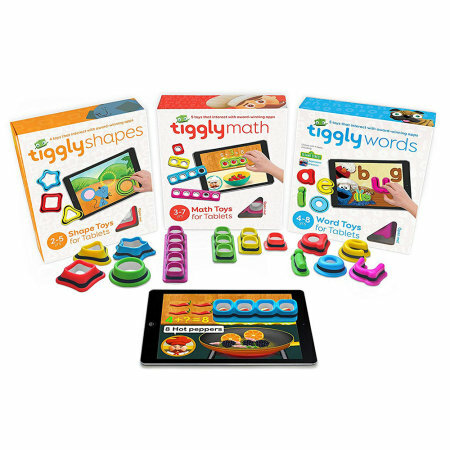 Tiggly 3-in-1 Learner Kit is also compatible with the following Android tablets; Samsung Galaxy Tab 3, 4, Pro, S (including Kids & Nook Editions), Samsung Galaxy Note 10.1 (2013 & 2014 editions), Kindle Fire HD & HDK (including Kids Editions) and Nabi Dreamtab. Android tablets must be running Android software 4.3 or higher. 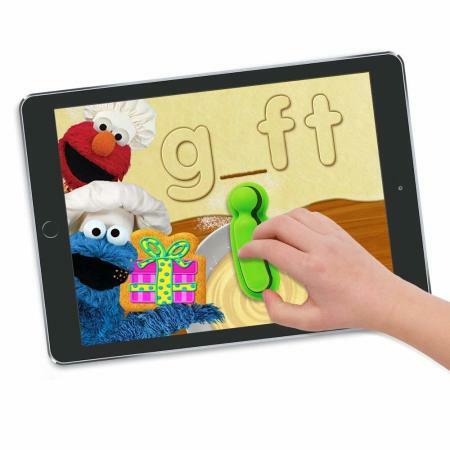 Please note that Sesame Street Alphabet Kitchen is only available on iOS. 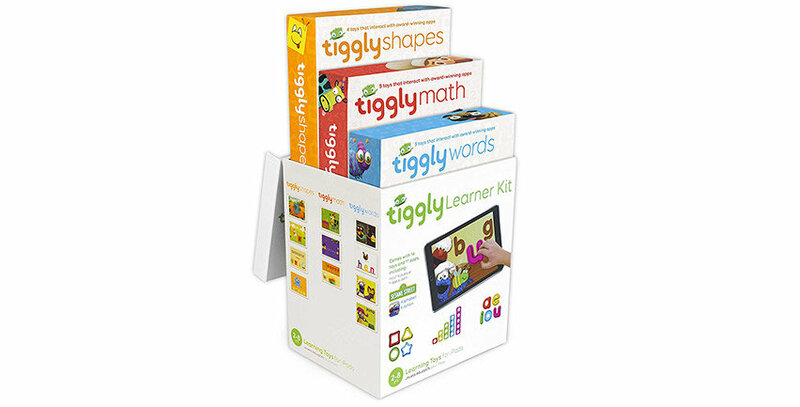 With no need to connect Tiggly 3-in1 Learner Kit to your tablet via Bluetooth or Wi-Fi, it is super easy for children to play and learn, undisturbed. And with no batteries required either, the fun can go on forever!